2016 was a difficult year to be a traditional country music fan in many respects, and not just from the death of so many legends—a phenomenon that didn’t leave any sector of popular music untouched. Of all places, it was the mainstream of country that experienced what could be considered a renewed resurgence in the traditional country direction. Yet in independent circles, it was a year of having to settle for albums prefaced with explanations of why the artist decided to move away from their country influences, even if it was just slightly, or just on a temporary basis. And we’re not just talking about Sturgill Simpson, but a fairly healthy swath of artists from the Texas scene to Americana and in between. That doesn’t mean those albums were bad, or those artists are dead to us all of a sudden. We’re all music fans first. But we’re also country music fans because there’s something about the moan of the steel guitar and those half time rhythms that tugs on our heartstrings like nothing else. You didn’t get much of that in 2016 though. Yet here was Cody Jinks, unflinchingly and stern faced presenting an album that so unmercilessly relied on the most potent of country textures—the ones that stimulate those positive chemical reactions in the brain of true country music fans with stories of heartbreak and sorrow that they can pry open the stone edifices surrounding the souls of even the most Stoic listeners—it made up for the dozens of other albums that didn’t. Cody Jinks didn’t just double down on country in 2016, he went all in. And unlike some of the dry and rehashed “real” country projects that think it’s enough to be country for country’s sake, I’m Not The Devil also had the creativity and originality to make it something not just familiar, but something new. Album of the Year is not solely awarded due to musical output though. Cody Jinks is blazing hot right now in country circles, partially due to how other artists created an appetite for this new generation of country music, but then vacated the space Cody Jinks has moved in to help fill. And now it feels like we’re on the brink of watching yet another independent country artist rise out of the pack to to the point where their music has a mainstream impact. Additional accolades are due all of the nominees for Saving Country Music’s Album of the Year, especially Dori Freeman and Courtney Marie Andrews who both with limited resources and exposure were still able to arrest the public consciousness enough to end up with almost universal consensus on their brilliance in the parade of end-of-year lists. Jack Ingram and Kelsey Waldon released records that maybe not everyone realized the deeper theme to, but those who did walked away with a better understanding on what’s important in life for it. 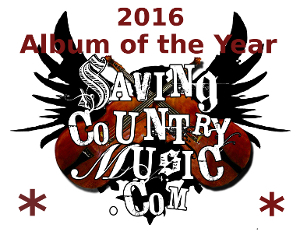 And all the Album of the Year nominees helped move the effort to save country music forward. But I’m Not The Devil was the album in 2016 that was the full package, and the one that showed great appeal and creativity, and within the loving confines of the country music space. And though this doesn’t happen with every Saving Country Music end-of-year winner, Cody Jinks also took the popular vote among readers. And the greatest things about Cody Jinks is you get a sense the best may be yet to come. I can’t complain about this one. Really good album. You corporate sexist sell out. Jk great choice! 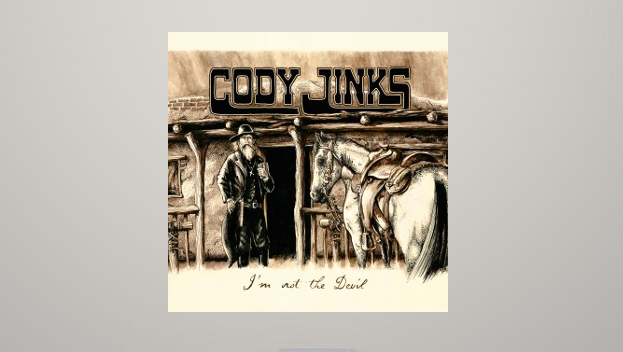 I don’t know if it is some kind of karma or some kind of odd coincidence (it has to be logically), but I first heard of Cody Jinks sometime last year, then I talk bad about this album because of it being a tearjerker, then suddenly I realize through Twitter that I’m one of like the 500 something people that he follows, and then I find myself getting tickets to his upcoming show in San Francisco (I didn’t pay for them). But what I’m getting at is that he’s a talented artist, and even though the media isn’t giving him enough coverage, he’s had a real prominent role in my life in 2016, and I just hope that he can continue to make the mark in the world of country music in this time forward. There is undoubtedly a groundswell building underneath Cody Jinks right now, and when you see comments like yours, you can tell he’s making some very deep and personal connections with folks that go beyond the music. There’s videos and pictures of him going out before shows to shake hands and take pictures of the people waiting out in line in front of the venue, and folks who say they met him after the show and he was a nice guy. It still all comes down to the music, but Cody Jinks makes it easy to be a fan of his. It still all comes down to the music, but Cody Jinks makes it easy to be a fan of his. I haven’t seen him live yet, but with his profile rising, hopefully I’ll get to soon. I think the closest the Whitey/Cody tour got to the DC area was Richmond, although I’m guessing he’s played Hill Country BBQ and I just missed it. That particular line above did make me think of Margo Price. Saw her in July and was already a fan, but after seeing the show and then seeing how she interacted with fans after the show, it made me want to root for her success even more. She came across as so friendly and genuine and seemed to really have fun talking with us. He and Whitey played at the Hagerstown Country Fest (in Aug I think) with Sunny Sweeney, Karen Jonas and a few others. Cody’s set was terrific. I had not heard the album before I saw him, but I ordered it the next day and am still enjoying it. Margo Price puts on a great live show, and when you start following an artist and feel like you know them when they first really start to find traction in their career, it gives you a sense of fulfillment in your fandom to watch them rise. Jack Williams – The Whitey/Cody tour was featured at Country Fest in Hagerstown, MD. which is maybe 1 1/2 hours from DC. I just stumbled on it at the last minute….not widely publicized, but a great show. I first heard of and saw Cody Jinks about 4 years ago. He, along with John D Hale Band, was opening for Reckless Kelly, I stood front row and was just blown away at the music. Saw Cody and Whitey last year and got to spend a good amount of time talking to him and the rest of the band. Definitely some of the nicest and down to earth people you will ever meet. BTW, great choice for AOTY. Saw Cody this year and it was a great show. Met him for a few minutes outside and he was a great guy to talk to. I do think this is a safe choice for your album of the year Trigger. My choice would be Sturgill’s ASGTE because of it’s impact, but I do understand it has really stretched the country label and shed it in some cases. Thanks as always for the guidance on what’s worth a listen, from one who finds it hard to keep up. Have now listened and will buy — great stuff! Doesn’t hurt that he covers one of my very favorite Merle tunes (The Way I Am). Figured this was the favorite to win. A fine album. Great album. I saw Cody Jinks and Whitey Morgan on tour this year. Dare I say the crowd had the same feel of a Sturgill show during the Blackdaddy days. After hearing Adobe Sessions (and most of us never heard his name before), we all expected great things from Jinks.He’s the real deal. I took my friend to a Cody Jinks show in September. She was someone who had no prior exposure to roots country but had told me she was fed up with Luke Bryan pop. Needless to say, Jinks blew her socks off. He’s got a bright future ahead if he has that much appeal to someone who had ony ever listened to mainstream southern pop. This is the only logical choice, great album, great single. If you had picked sturgill, even though he is awesome, I would have broke my phone in protest. One thing I have noticed is his YouTube numbers aren’t growing like I thought that would. 400,000 and 200,000 last I checked, (May be erroneous depending on video you are watching). But I expected million pretty quick on I’m not the devil. Sturgill is getting in millions, turnpike high 700,000 (should be more considering when most of their music was released), I think as fast as the traditional country phase came it’s already leaving in favor of Americana and bluegrass themed country. I am hardly ever wrong about these trends, there is evidence to prove otherwise, but i promise all those uncle lucius type acts are next to pop. wish I had seen this earlier this morning I just programed She’s All Mine on my radio show. Kind of expected to see Sailor’s Guide when I opened the link. I got warm fuzzies when I saw it was Cody’s album. Listened to it last night from beginning to end on the living room speakers. It’s just so damn good. I have not bought the album yet, but it’s a good choice.I get seventies vibe from some of his songs, and I’m a hopeless nostalgic, so perhaps buy it. Nailed it, Trig. Easily the best of the year. He is fantastic live, too. Congrats Trigger on a fantastic choice. This is the best album I have bought in years. Never get tired of listening to it. Good choice trigger! Best album by a country mile!!! Say Cody Jinks a few years ago in Atlanta at a tiny bar with my wife. My wife is a fan of 80s country and modern pop. She had never really taken an interest in any country artist that I had started listening to. After Trigs review of “Adobe Sessions” I picked up the album. Man I was blown away with this dudes music. To this day I would put “David” up against the best country songs of all time. There were maybe a 100 pwople at the show and this made the concert very intimate. He finished his set and then played an extended encore. Someone in the crowd asked him to play “Rock and Roll”. I remember him telling another fan to stop taking a video because this was his first time playing the song live and he didn’t want a fucked up version on YouTube. The after the show he hung out with me and the wife for a bout 30 minutes talking about the music and life My wife has been a fan ever since that night. Was lucky enough to grab tickets to his stop in Nashville a few weeks ago. The show wasn’t as intimate but man it was just as good as the last time. Made me proud to see how his fan base has grown in over a year and a half since I last saw him. These weren’t just people who didn’t have anything else to do on a Saturday night but people who actually knew every words to his songs. Thanks Trig for turning me on the Cody and the numerous other artist over the years I have been visiting your site. I think country music history will be very good to you for the work you’ve done to keep it alive. “David” …. I agree with you…. that is a deeply moving tune. Hard to listen to without choking up. He describes the current tragic state of things for many people, so very well. And I’m glad to hear he’s doing well on the business side as well as the music side. Thanks Trigger, would not have heard of these people without this site. Dude is on regular rotation around here. For some reason I hadn’t taken the time to listen to much Cody Jinks until reading this article. I’ve see the name floating around plenty in comments sections and other previous articles, but once again a well written piece by Trig has opened my eyes to another great piece of music. As always, thank you for your great work. Excellent choice, Trig. Great album by a fantastic artist. Keep up the good work Cody and Trig! Watching his Lukenbach performance on You Tube is indicative of his ability to connect. My oldest son got to visit at the bar with him at a local venue. He (my son) isn’t easily impressed (star struck) but he liked what he heard and saw personally….. that said, both my sons and I and their wives saw Confederate Railroad at a small local venue. We’ve been fans for years, but his sitting around BS’ing with us after the show for longer than we had time to spend made our night. Again, excellent choice for AOTY. A very deserving honor. We had Cody play this year at our festival in Maryland and couldn’t have been more pleased. He went out of his way to interact with fans before and after his set, singing autographs, chatting, and taking pics. He hung out with production staff / security / other bands the entire time he was at the festival, treating everyone the same. Class act, best musician we have ever worked with, no ego, just humble. I hope he headlines Stagecoach in the next few years. Well deserved for album of the year! Easily my choice. Sturgills album wasn’t country, it was classic pop. It was good, but didn’t fit. Cody Jinks was the guy you said “go out and buy this now” so I did and man I listen to that album all the time. Two out of the last three years we are in agreement (but, I’m still baffled by that Mavericks pick). I slept on the ‘Adobe Sessions,’ but I’m all-in on ‘I’m Not the Devil.’ I haven’t seen him in concert, yet. We were going to drive up to Detroit a couple weeks ago, but the weather was too bad for a 300 mile trip. I’ll make it a must to see him this summer. This year, a record 9 albums in my year end top 20 were albums I would have not heard or gave a chance (all those promos have dried up) if you didn’t cover them. Two of those albums were female artists – you male chauvinist pig (face slap)! So, thank you for the work you do. I’m looking forward to 2017! Hold on there baby Trig…Imma let you finish, but Beyonce made the greatest country album of all time! I’ll admit that I didn’t know about Cody Jinks when 2016 started. After seeing so much earned acclaim, from here and elsewhere, I gave him a listen since I like to see what other artists are about. He’s the one guy who I really latched onto this year more than any other. His albums are in constant rotation with me and the more I listen, the more I enjoy each individual song. You get the real feeling that he’s making what HE wants to make. He doesn’t have a bunch of obligatory feeling songs on there (oh here’s the love song, here’s the beer can drinking son, here’s the disco influenced song) that you can easily pick out on so many current artists albums. In short, he is GREAT and I’m really glad to have his music around. I’ve been listening to Cody for a few years, but cool to see the growing swell of support this past year from folks that had no idea who he was. Case in point, I saw him not even sell out a place with 250 of us last November, then I saw him in May with Whitey not sell out a place with about 500 of us, then I saw him solo again a couple of weeks ago and he sold out a venue over 1000 people. I first heard Cody Jinks at a SF Giants game when Matt Cain (Giants pitcher) came out to Loud and Heavy. I went home and wanted to hear more from this guy and bought Adobe Sessions and I’m Not the Devil. Jinks was my favorite discovery of the year and Devil is a fantastic album. Great choice for Album of the Year. Outstanding! Excellent album, like Adobe Sessions, it never gets old. Excellent choice Trigger. I was impressed my Adobe Sessions and was looking forward to I’m Not The Devil. I was not disappointed. Both are still on the regular rotation in the truck and the shop. Someday, I will have to catch him live. Good choice Trigg.My wife and I caught Cody Jinks and Whitey Morgan live in September.Terrific show and I got goosebumps when everyone in attendance sang “Loud and Heavy” word for word,a song that received zero airplay locally. 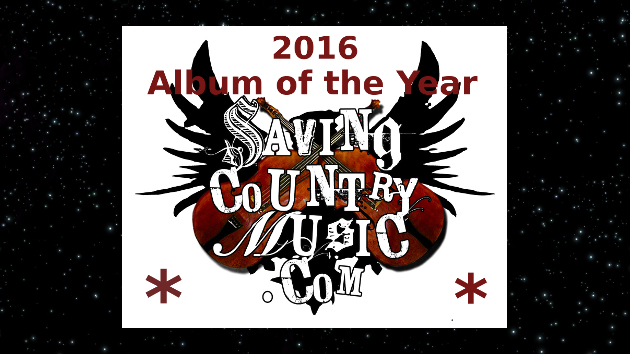 “I’m not the devil” and Erik Dylan’s “Fishing Alone” are a few of my favorite country songs of the year. Fine choice by me for Album of the year. My favorite album top to bottom since Jamey Johnsons That Lonesome Song.